We all know the covers of the Seven Realms books are always stunning. But who made those beautiful covers? And what about all the different editions? Well, let's start with the US covers. These are all the work of a highly talented Cover Artist I have already made a blogpost about several months ago. Yes, my dears, I'm talking about Larry Rostant! He's one of my favourites actually, he makes the most beautiful covers for two of my favourite genres: Historical Fiction and, of course, Fantasy. If you want to read the post about Larry Rostant: click here. 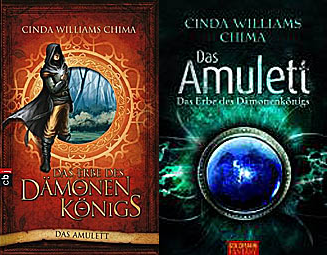 As I have all the UK versions of the books, I'd like to talk a little bit more about the artist who made those covers. This illustration (you can find it below) isn't based on anything in the books, there is no such object in them. But nonetheless, it is beautiful! The person behind this drawing is Paolo Barbieri. He is an italien illustrator who has made some awesome cover drawings for a whole variety of authors and books. Want to know more about him? Visit his site here! Let's take a look at all the different covers for the Seven Realms books. 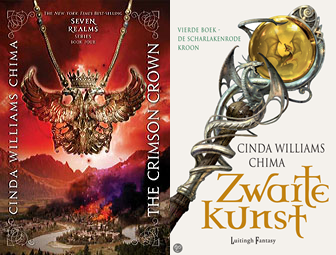 I couldn't find any more covers for "The Crimson Crown", but I'm sure we will get to see them very soon! Mine all the US covers and I am so happy about them.